﻿ Iconic Floor Lamps Presented By Floor Samples! Iconic Floor Lamps At Budget Price With Floor Samples! Another Monday another edition of Floor Samples! Today’s edition features iconic floor lamps available at Floor Samples. We will highlight three floor lighting pieces that are guaranteed classics and perfect iconic floor lamps that everyone can enjoy! Inspired by the late Miles Davis, this mid-century contemporary floor lamp features a clean and sophisticated design, that brings that classy and elegant theme from the 50s. A floor lighting piece that is deeply rooted in the mid-century era. Featuring an all-brass body, with an all-brass shade. Easily part of the iconic floor lamps list, Miles represents the best of the ’50s design world. An essential element to any modern living room that is looking for a piece that brings that elegant and sophisticated design, while also being a beautiful tribute to one of the most important influencers of the 20th century. Diana floor lamp is an interesting and simple DelightFULL piece. The Diana collection is praised for its easy customization and versatile pieces. Influenced by modern jazz singer Diana Krall, Diana collection offers you customization options that few can offer. 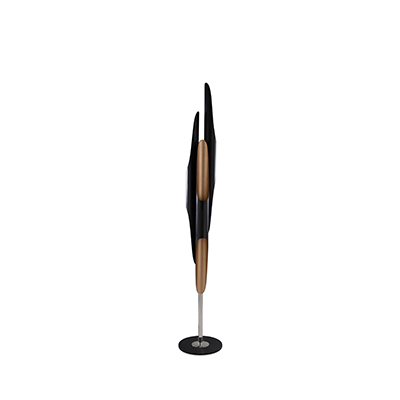 Part of our collection of iconic floor lamps that are inspired by modern artists. 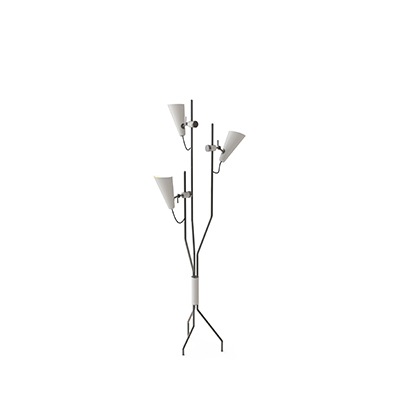 This versatile floor lamp can fit in any modern décor setting. You can have it in a playful setting, a mid-century contemporary living room, a Scandinavian or Industrial setting. A floor lighting piece that offers a smooth lighting effect, and is able to be part of almost any interior modern décor. Perfect for any Scandinavian or Industrial modern home looking for a more sophisticated piece that still maintains the minimalist design philosophy. A perfect end to our iconic floor lamps list.